Safi Bahcall (@SafiBahcall) is the author of Loonshots: How to Nurture the Crazy Ideas that Win Wars, Cure Diseases, and Transform Industries. #330: The Return of Drunk Dialing Q&A: How to Ask Better Questions, Take Better Risks, and More! This episode explores travel, and I'll take the partial credit or blame in advance, as it might want to make you quit your job and head off to the airport with a backpack. Karlie Kloss (IG: @karliekloss) is an entrepreneur and supermodel who was discovered at a local charity fashion show at age 13 and has been modeling professionally ever since. Joe Gebbia (@jgebbia) is a designer, entrepreneur, and global explorer. He is the co-founder and CPO of Airbnb, which has changed the way the world travels and how people connect in more than 190 countries. In this episode, I answer the most up-voted questions from subscribers to 5-Bullet Friday, the free newsletter I send out every week. 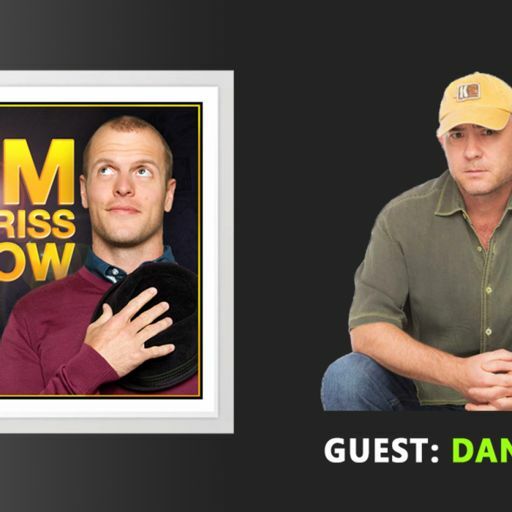 Welcome to another edition of The Tim Ferriss Radio Hour, where I share the habits and patterns of world-class performers revealed over nearly 300 interviews. Bozoma Saint John (@badassboz) is the Chief Brand Officer at Uber. Until June 2017, she was a marketing executive at Apple Music after joining the company in its acquisition of Beats Music. Mike Maples, Jr. (@m2jr) is the man who taught me how to invest. He's one of my favorite people and a personal mentor. Sharon Salzberg (@SharonSalzberg) is a central figure in the field of meditation, a world-renowned teacher, and New York Times bestselling author of Real Happiness: The Power of Meditation: A 28-Day Program. Jocko Willink (@jockowillink) takes over the show for a special episode. As I learned during our first interview, he is one of the scariest human beings imaginable. Psychotherapist Esther Perel (@estherperel) is back to answer your most requested questions. The New York Times called her the most important game-changer in sexuality and relational health since Dr. Ruth. This is a special episode of The Tim Ferriss Show. This time, I focus on tactical, specific advice on branding, marketing, and the most common mistakes of growing an audience. #197: Drunk Dialing -- Ladies Night Edition! #179: What's Important to You? #111: Should You Start a ’Startup’ or Build a Cash-Flow Business? #104: Are Psychedelic Drugs the Next Medical Breakthrough? #103: Drunk Dialing Fans--Celebrating The 100th Podcast Episode! #77: What Do Google X, Medicine, and Great Relationships Have In Common? #72: Triple H on Pre-Fight Rituals, Injury Avoidance, and Floyd Mayweather, Jr.
#69: Inside the Mind of Glenn Beck Is...Walt Disney and Orson Welles? This is a much anticipated follow-up discussion with Dr. Peter Attia. Justin Boreta is a founding member of The Glitch Mob. Their music has been featured in movies like Sin City II, Edge of Tomorrow, Captain America, and Spiderman. In this episode, I interview the one and only Arnold Schwarzenegger... at his kitchen table. This is a short excerpt from the full 1+ hour interview with Arnold Schwarzenegger, which is going live after the Super Bowl. (Part 2 of 2) How do you create a blockbuster podcast? This episode explores the tips, tricks, and best practices of a master. How do you create a blockbuster podcast? This episode explores the tips, tricks, and best practices of a master. By popular demand, this is a follow-up episode with Pavel Tsatsouline, a world-class strength coach. Dr. Peter Diamandis has been named one of “The World’s 50 Greatest Leaders" by Fortune Magazine. By popular demand, an entire episode dedicated to exploring the microbiome! This is a short episode of around 30 minutes. In it, I answer your top 10 most popular questions, as voted on by nearly 7,000 readers. Marc Goodman has been Resident Futurist for the FBI and a senior adviser to Interpol. He is also author of the much anticipated Future Crimes. This is a special edition of The Tim Ferriss Show -- an audio version of The Random Show with my friend Kevin Rose (serial founder, Google Ventures). Margaret Cho is a polymath. Tony Robbins is the world's most famous performance coach. He's advised everyone from Bill Clinton to Serena Williams, and from Leonardo DiCaprio to Oprah (who calls him "superhuman"). Part 1 of 2.Tony Robbins is the world's most famous performance coach. He's advised everyone from Bill Clinton to Serena Williams, and from Leonardo DiCaprio to Oprah (who calls him "superhuman"). Ep 27: Kevin Kelly (Part 3) - WIRED Co-Founder, Polymath, Most Interesting Man In The World? Ep 26: Kevin Kelly (Part 2) - WIRED Co-Founder, Polymath, Most Interesting Man In The World? This is Part 2 of a 3-part interview with Kevin Kelly. Yes, Kevin Rose is back. He was my first ever guest on this podcast, and now he's causing more trouble. Ep 23: Do "Homeopathic" Remedies or Medicine Work? Ep. 10: Brian Koppelman, co-writer/producer of Rounders, Ocean's Thirteen, The Illusionist, etc. This is a new variation on the podcast -- a short experiment. This episode is less than 20 minutes long and just me riffing on productivity. This episode features two incredible guests: Dr. Justin Mager and Kelly Starrett. We all drink wine and get crazy.